The commute in and around the Washington, D.C., area is notoriously bad and a new study confirmed that, but officials hope some projects under way will improve the area’s congestion. A study by GPS company Tom Tom ranks D.C.-area traffic third worst in the country behind traffic choked L.A. and San Francisco. If your drive is 30 minutes, that means you spend an extra 80 hours a year behind the wheel because of congestion -- two full work weeks. Officials hope the Inter-County Connector in Maryland, Beltway express lanes in Virginia and streetcars and bike-sharing programs in the District will ease that. “We think you’re going to see real progress in the next year or so when these major road projects come online,” said John Townsend, of AAA Mid-Atlantic. 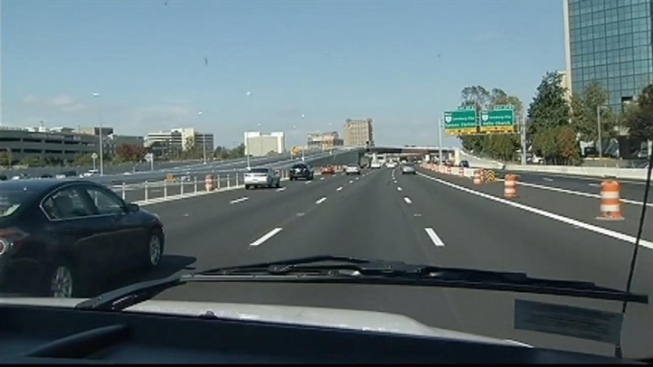 The next major project to come online will be the express lanes on the Beltway. They're expected to open in about two months.